I know I haven't blogged in a while and there has been various reasons for this but the main reason is because I have been working with a friend of mine and fellow blogger Aisling Keenan, on changing Bella Beauty up a bit and improving it. And that we have most definitely achieved! So without further ado, I'd like to introduce you to my brand new blog The Beautisphere. This means I have moved from Blogger and I won't be posting here any more. I hope you will all continue to follow me as I have many exciting things planned for The Beautisphere! Gosh makeup is nice and I have always been a fan but recently Gosh have brought out these gorgeous little pots of nail glitters! I am a lover of all thing glitter so I was very excited when I saw them. 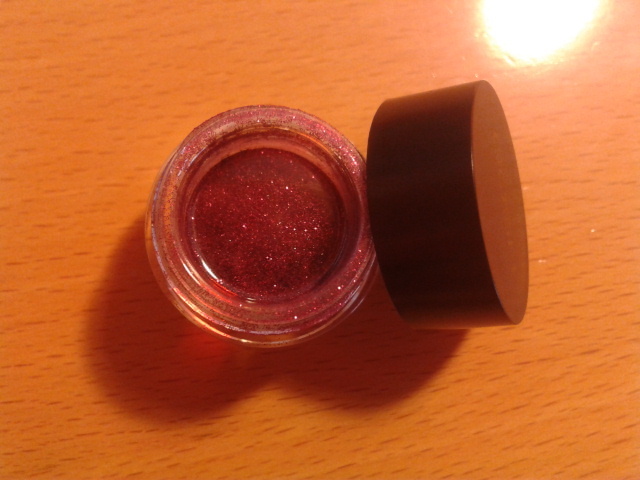 Basically, it is pot with lots of glitter in it. 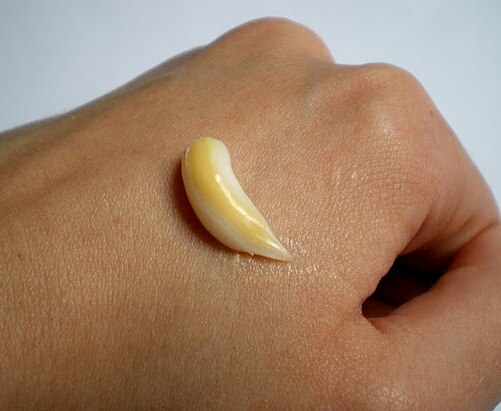 It's for your nails but I’m sure you could find many uses for them! 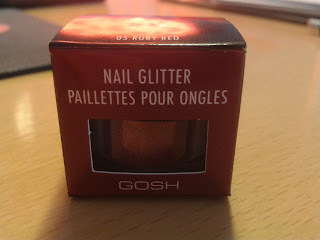 They are very easy to use but beware, glitter tends to go EVERYWHERE! 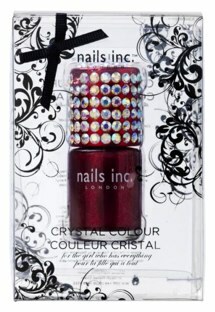 All you do is paint your nails with a clear polish and before it dries, dip in into the glitter so it covers your nails. Put some more clear polish over it and wallah, its done! Gorgeous sparkly glitter nails! I bought two colours but I only have pictures on one (Ruby Red) because I want to experiment with the other to see what else I can do with them and then show you! Priced at €6.99 its a bargain if you ask me! 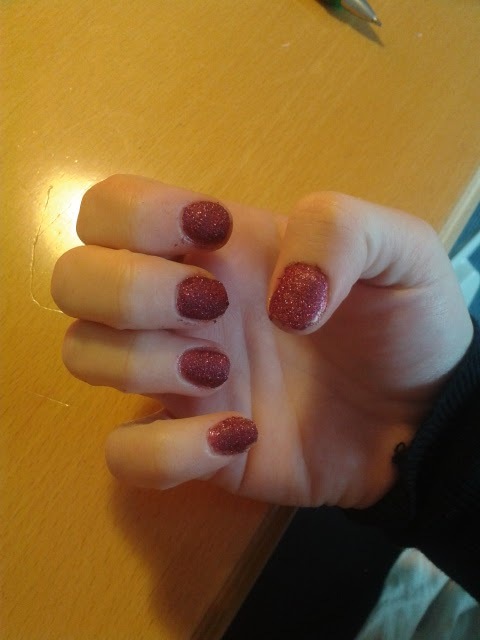 Excuse the glitter around my nail on my index finger, Dont know how I missed that! 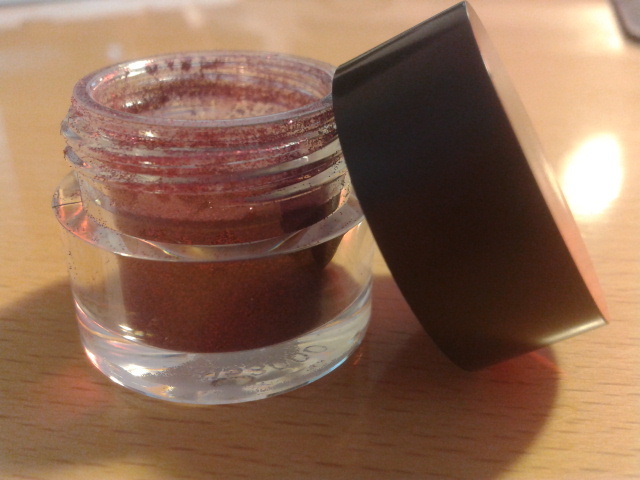 I will post pictures of the other colour and how I use it at the weekend. Will you be adding these to your Christmas list?? Check out the gorgeous Jennifer Hudson!! Doesn’t she look amazing in that dress? Theres no doubting Jennifer has been looking gorgeous lately, and after everything she has been through it’s good to see her looking so happy and hot!! These pictures were taken in LA at a shoot for Vanity Fair last week and Jennifer is really rocking that yellow dress! It’s hard to get a close up of her makeup but from what I can see, it is quiet natural yet amazingly glamourous! Her eyes are simple with a simple shadow and on the lips, just a nice natural pink colour. Jennifer most definitely does Hollywood Glamour proud with this look. I have found a match to Aussie 3 Minute Miracle conditioner.. Introducing Doves Nourishing Oil Care Daily Treatment Conditioner - wow thats a mouthful! I stumbled across this to be honest, I was in the supermarket and I needed a new conditioner. I liked the idea of the oil in this - as the ends of my hair are totally frazzled - so I purchased. Not a whole lot of thought went into it. But I’m delighted I found it! It is AMAZING!!!!! I insist everyone goes out and buys in right now! Now I love Aussie but this just leaves my hair ridiculously soft and takes conditioners to a whole new level!! It claims to give three times the nourishment of a regular conditioner and I believe them! So it is like your normal conditioner but with a lightweight oil going through it. The oil is the magic. 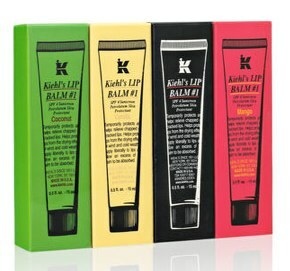 It softens and moisturises your hair without leaving it greasy. My hair is not too long but not short either. I curl it or GHD it far too often and the ends are very dry. I refuse to get it cut because well, I don’t want to. This conditioner is by far the best I have ever tried and puts getting my hair cut off for another while! I was doing a little online shopping and well..I got a little distracted! I started picking out things I want instead of gifts I'm meant to be getting people! I have a serious problem with online shopping eek!! BUT I was good and I only browsed, I didn't but anything! Yay go me! 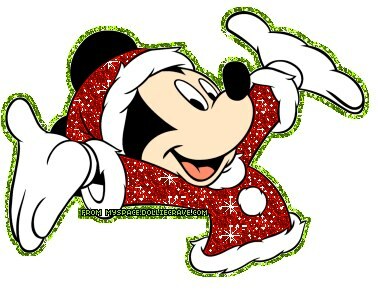 Whats on your Christmas wishlist?? Makeup of the week: The Kardashian Sisters. Wahoo! It’s Friday!! This has been a long long week and I couldn’t be happier Friday has finally arrived, even if it go going painfully slow! 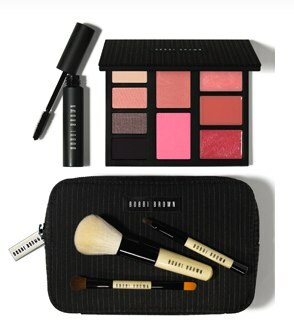 But on a happier note, Friday means it is time for Makeup of the Week. This week it is all three of the gorgeous Kardashian sisters. I love these girls! I know they get mixed reactions from a lot of people but I think they are all great business women and gorgeous!! These shots are from their recent shoot in US Glamour. The fist pic is the three girls in their PJ’s. Even though they clearly have makeup on, they still look less done then normal. I love the flick on Kims eyes and the bright lip Kourtney is going for. The second picture shows the girls ringing in the new year. Their makeup is kind of similar here but Kim has gone for a brighter lip. Khloes skin looks flawless and you can see her eyes with the false lashes are the main focus. Do you like the Kardashians look? I’m sure you all heard the big news about Urban Decay! 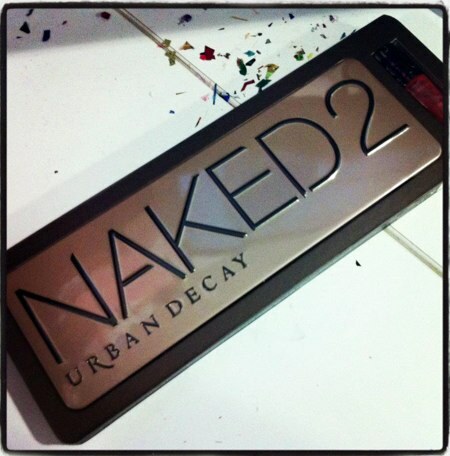 They are launching a Naked Palette 2! 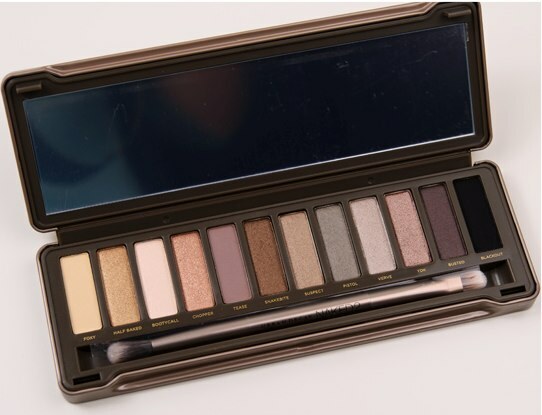 I cannot express how happy I was to see this, as you probably all know I am crazy in love with my Naked Palette 1! It is amazing and my most used eyeshadows. So when I hear they are bringing out another one I am just uber excited! The only bad thing is it wont be available in the UK and Ireland till January! That seems like a lifetime away I simply don’t think I will last that long. I’m going to see what I can do and who I know in the US who can buy it for me and send it over. 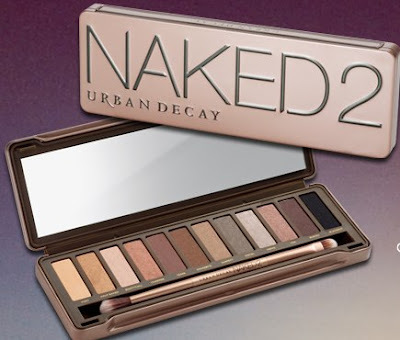 Will you be purchasing Naked Palette 2?